Posted 24 October 2017 by Sam Brickley & filed under Articles, Business, Design, Money. The restaurant business is a highly competitive industry but it can be very lucrative if you get it right. So many new ventures fail because they don’t have the right combination of menu, atmosphere and staff. If you open up a restaurant that makes uninteresting food and you don’t do it very well, you’ll fold within months. A few complaints about your staff can also spell disaster. Even if the food is great and the staff are all friendly, outdated decor can still put people off. If you want to get anywhere you need to come up with an interesting menu that’s perfectly cooked and served by amazing staff in a great location. That’s a pretty tall order and even if you get all of that right, there are still hurdles that you need to jump. All businesses have to deal with rules and regulations at some point but when it comes to the restaurant trade, they’re far stricter. There are so many different rules that you need to follow to the letter and breaking just one or two could mean that you get shut down for good, even if the customers love your restaurant. New business owners often focus on the big picture and overlook all of those tiny details so if you’re about to start up your own restaurant, here are some great tips on making sure you don’t get caught out by health codes. When it comes to inspections, you will have to adhere to very specific regulations. Even though bending those rules a little won’t make the food unsafe, inspectors will mark you down for the tiniest indiscretion and too many can get you shut down. Before you open, make sure that you’ve read through the entire health code document for your state and committed it to memory. It’s also important to make sure that all of your staff know it inside out too. Always have a refresher session at least once a year because inspectors will have no sympathy for you if the codes have changed and you didn’t realize. 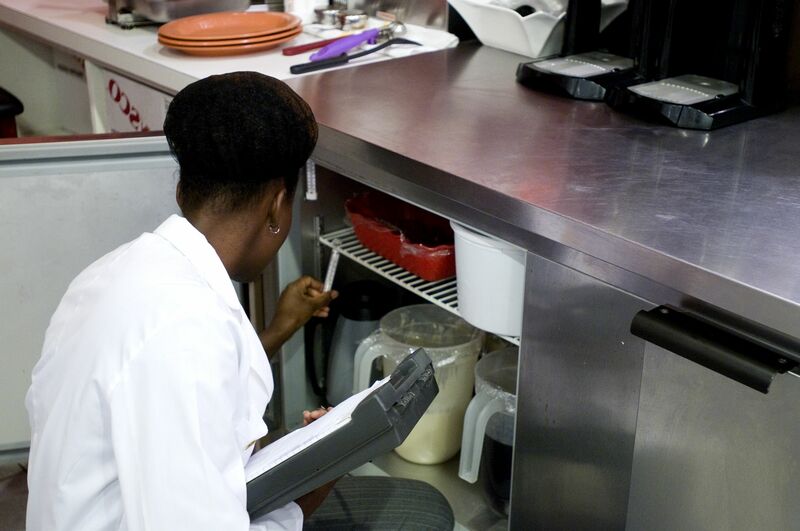 Not disposing of waste properly is one of the key reasons that restaurants find themselves in trouble with the health inspector. The best thing to do is get a commercial bin hire company to deal with it for you. They’ll know exactly how to deal with all of the waste that your restaurant produces in a way that adheres to health codes. You also need to ensure that staff are emptying the bins regularly because if an inspector sees overflowing bins, they’ll mark you down heavily for it. Collections need to be done often to avoid the risk of attracting rats and other vermin. Rats around the restaurant is a sure fire way to get yourself closed down. Only specific people in the business are considered food handlers which means that they are permitted to handle and prepare the food in the kitchen area. The rest of the staff and the customers are not considered food handlers. If the food is contaminated by somebody that shouldn’t be in the kitchen in the first place you’ll find yourself in big trouble. That means you need to take measures to keep the areas entirely separate. Use a serving hatch to pass food over to waiting staff and always keep customers away from the kitchen area. If waiting staff do need to come into the kitchen for any reason, make sure that they are supervised by the kitchen staff and they’re only in there for as long as they need to be. It’s down to the restaurant owner to ensure that nobody is smoking in or around food preparation areas or in certain areas of the restaurant itself. If somebody catches a chef smoking in the kitchen, you’ll be in big trouble. All no smoking areas have to be completely empty of ashtrays as well. If you don’t put up sufficient amounts of no smoking signs then you’re liable if somebody decides to light up. You also need to create a proper designated smoking area away from the kitchen for the staff to use and make sure that all smoking equipment is kept outside of the kitchen. Any members of staff that have foodborne illnesses need to leave any food handling areas immediately. If they work in the kitchen they cannot attend at all. They need to stay off work until they are completely better and you can be sure that they won’t contaminate the food or pass on their illness to any of the other staff. Before they can safely return to work they need proof in the form of a doctor’s note to say that they aren’t a danger. If you become aware that a family member or friend of one your staff is ill, you need to be careful about letting them near food handling areas as well. Even if somebody just has a bit of a cough, you could still get in serious trouble for having them there. It’s always best to be overcautious when it comes to illness. Obviously, all of your staff need to wash their hands properly after using the toilet and when handling food, if you didn’t know that then you probably shouldn’t be in the restaurant business. 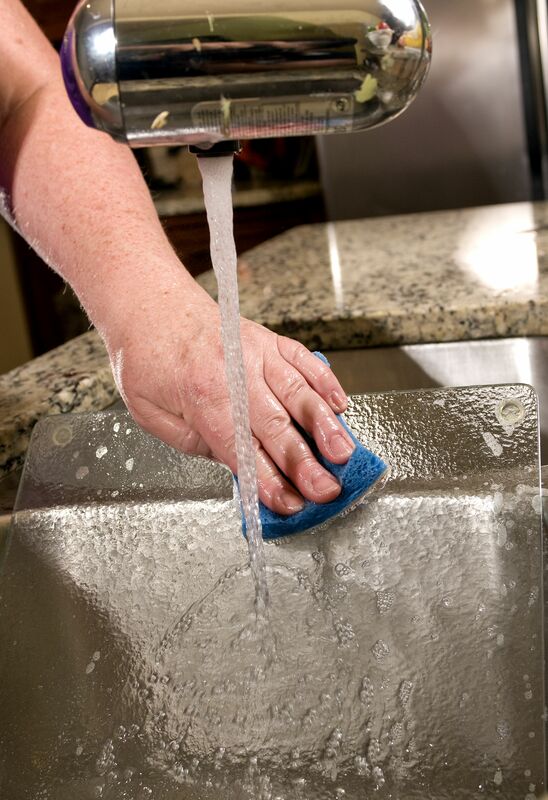 However, you need to make sure that you are adhering to rules about wash basins. They need to be easily accessible near all toilets so people don’t have to pass through a food preparation area on the way to washing their hands. They also need to be readily available in and around the kitchen. It’s always good practice to put at least two in the kitchen, one at either end. It might be overkill but it’s better to be safe than sorry. Regardless of how clean all of your employees are, food can still make people sick if it’s gone off. 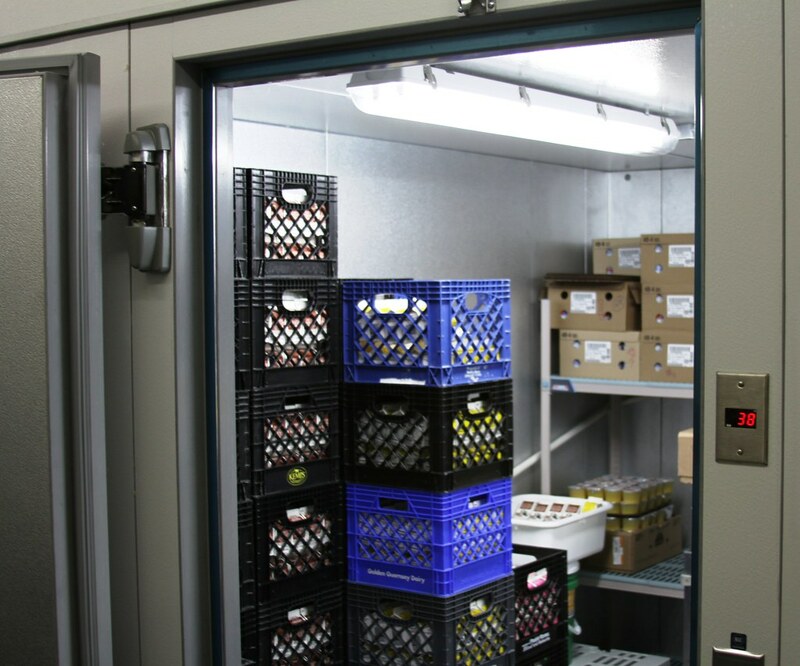 Storing food correctly is of the utmost importance and it’s one of the main things that the health inspector will check when they come round. Raw food and cooked foods all need to be stored separately to avoid any cross contamination. Labelling and dating the food properly is also key. If they find things that have been left at the bottom of the freezer for months on end, they’ll give you a bad rating. It’s worth going through all of your refrigerators once a week to check that there’s nothing in there that needs to be thrown out. Storing of chemicals is another big issue in the kitchen. You need plenty of cleaning stuff if you’re going to keep the kitchen up to standard and that means a cupboard full of chemicals that are potentially harmful. If they get anywhere near the food you can make some of your customers incredibly sick. It only takes one incident like that to get you closed down completely. Any cleaning chemicals need to be kept in an entirely separate room and should only be bought into the kitchen once all of the food is safely stored. The same goes for any other chemicals that you might have in the office area or in the dining area. Any good restaurant is going to sell alcohol and if you want to, you need a license for it. You’ll have to fill out a fairly lengthy application form and pay around $500 per year for the license. There are a lot of different types of license and the application can be fairly confusing for some people so it might be worth getting a solicitor to help you out. If your application is denied then you’ll really struggle to get customers coming in when you haven’t got a liquor license. General cleanliness is one of the things that is going to let most restaurants down. Even if you’ve fulfilled all of the other guidelines, a generally grimy kitchen can lose you a lot of points when the health inspector comes sniffing around. Nobody likes cleaning and it’s a job that people will often take shortcuts with. The simple way around it is to set up a cleaning rota and make sure that your staff stick to it relentlessly. You need a separate one for the kitchen area and the dining area. Areas to focus on in particular are the toilet and any work surfaces in the kitchen. The health inspector will check these first and if they aren’t sparkling, you could get closed down. Health codes are a bit of a nightmare and they can easily trip you up but they’re there for a reason. If you don’t follow them properly you risk making your customers ill and it only takes one or two bad experiences to sink you forever. Word travels fast and you’re obliged to display your health rating in the restaurant so a failed inspection will seriously damage your business. The health inspector can come at any time without warning so you should adopt health codes as general practice, not just wait until they turn up before you start following the rules or they’ll catch you out.